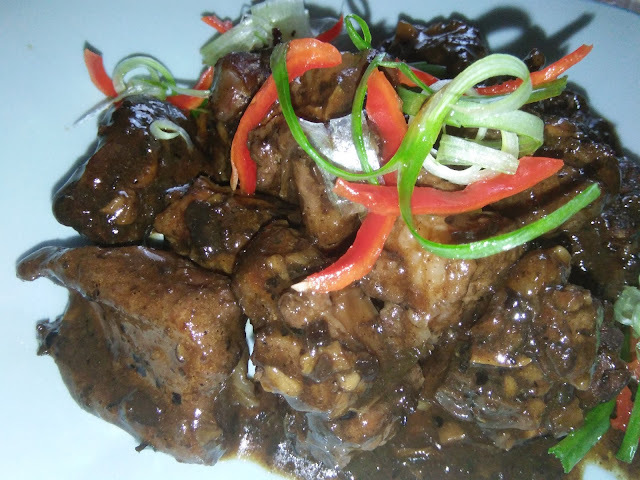 Spare ribs cooked with black bean sauce is a very common dish in most Chinese households and it is good to serve with steaming hot rice or porridge. 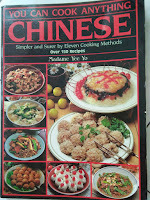 There are numerous recipes for this dish and various methods to prepare. This dish can be fried, stewed, braised and steamed. Whichever way it is prepared, the end result is about the same. This dish is savoury and the sweetness varies with recipes. 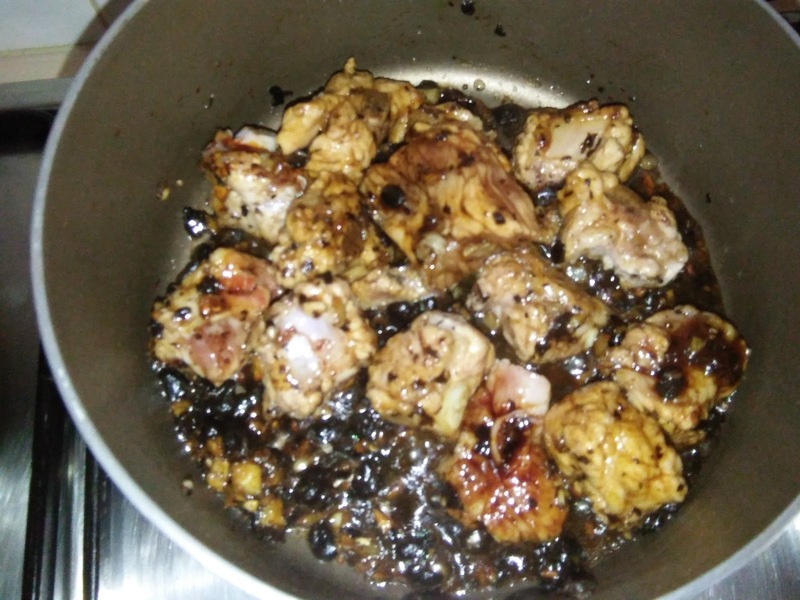 For this recipe, I have modified it a little by first frying the ingredients until fragrant and then steamed till the ribs are tender. 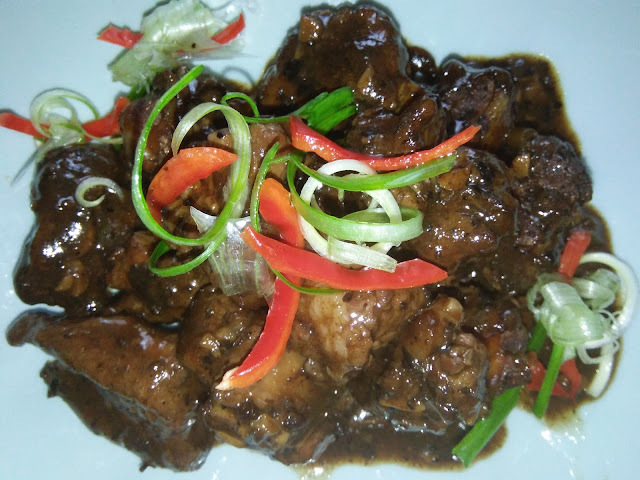 The chef has mentioned that this dish prepared this way is less greasy and more tasty and the sauce is great with hot fluffy rice. 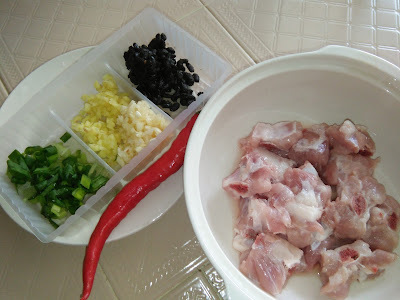 This dish may be prepared ahead of meal time, kept warm, refrigerated or frozen then reheated , garnish with spring onions and red chillies just before serving . Simply easy and fuss free before meal times. 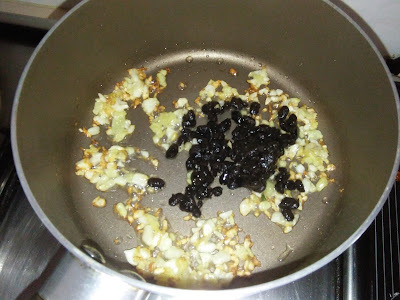 Heat a non stick pan with oil, sauté chopped garlic and ginger until fragrant, then add in black beans. Add in the ribs and toss well to mix before adding the seasoning sauce. Add water, bring to boil and simmer for 10 minutes. Thicken with cornstarch. Transfer to a steaming bowl and steam for about 1 hour or until ribs are tender. 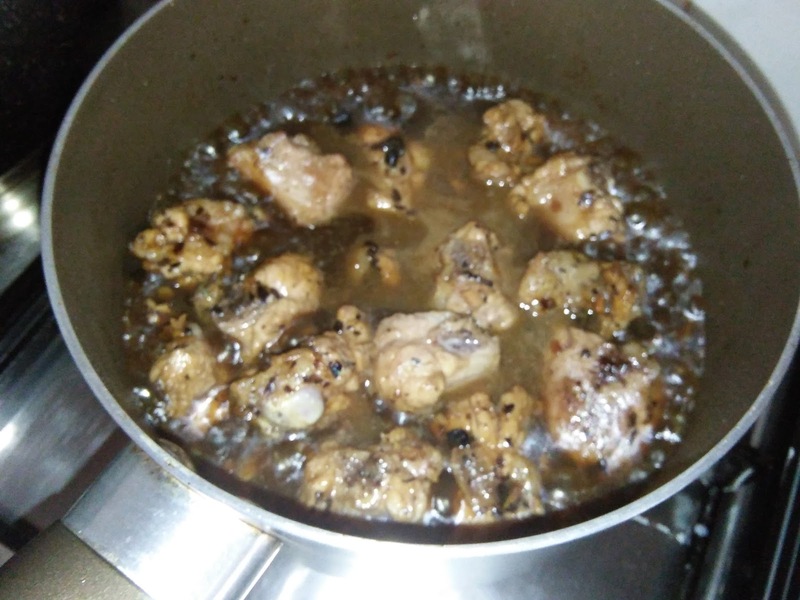 You can skip this method and finished the cooking by simmering for 40-50 minutes. Garnish with spring onions and red chillies before serving. Hi Kimmy! 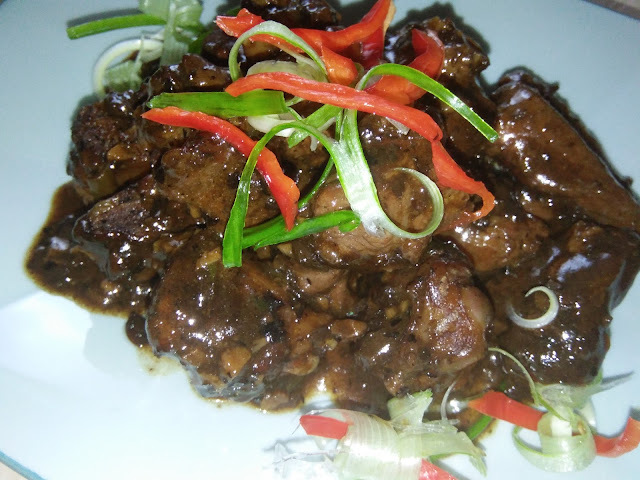 Very delicious pork ribs with black beans sauce. 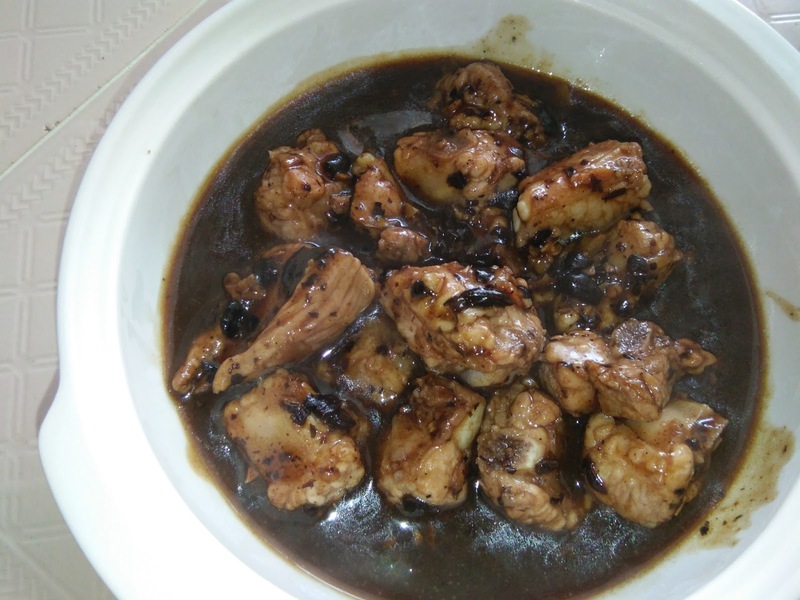 I also love chicken and bittergourd cooked with black bean sauce. Hi Phong Hong, this dish is delicious and I feel 'sayang' to discard the sauce. another one of my favourite dish. I love meat and chicken dishes cooked with black beans. Sedap ! 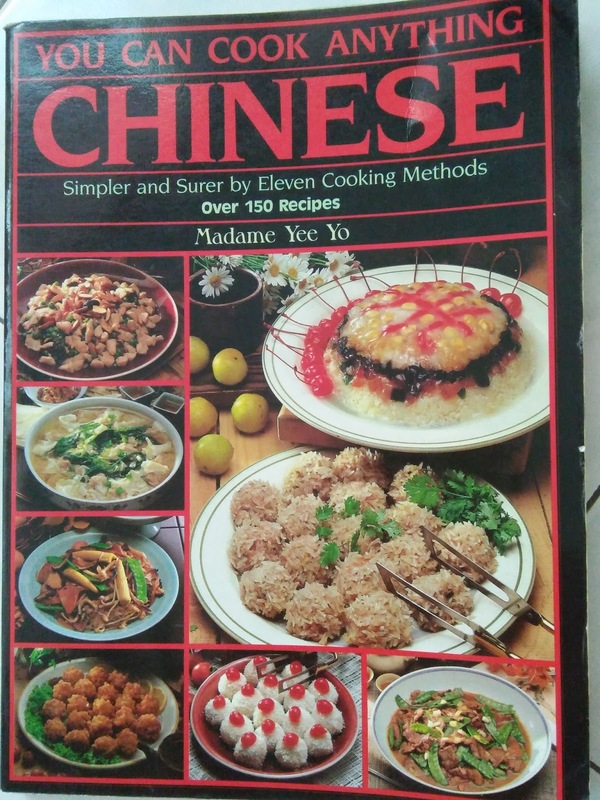 Hi Joyce, I love this recipe. 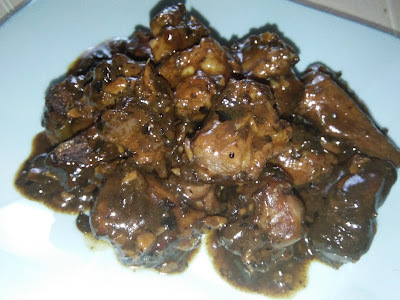 Can prepare ahead of meal time and this dish tastes good.